Well... August is here which means that back-to-school ads are airing, pool water temperatures are rising and Fall decorations are starting to appear in stores (unless you're Hobby Lobby in which case you've had Christmas decor out for a month!). I like to put a few little decorations out for "back-to-school" mainly because it get my kids in the spirit and kind of helps us mentally switch gears from late nights and swimming all day to routine and homework. ... and added a few small decorative globes and a fun chalkboard to the kitchen table. I put out an antique globe on the console table and called it a day. For several years I looked on a bit enviously as families enjoyed special first day of school breakfast because our first day usually involves us leaving EXTRA early #teacherproblems with no time for an actual meal. Last year I decided to have our breakfast the night before school started and our "Back to School Brinner" (breakfast for dinner) was born! We enjoyed sausage balls, cinnamon rolls, fruit and yogurt. We prayed for the boys, their teachers and classmates and Luke passed along some words of wisdom regarding Kindergarten to Mason. It was fantastic. We're going to have a brinner again this year and I can't wait! Even though I buy the kids supplies through the school I like to pick up some fresh supplies for myself. Grading pens, the BEST teacher planner, post-its, stickers... apparently I'm easy to please. I feel like everyone is on their school lunch A-game early on in the year, but if you need a few ideas make sure to check out my post HERE where I shared our favorite way to pack lunches and snacks (for kids and for me!) We make them nightly and try to mix it up often. My back-to-school shopping is fairly limited. I order the supply packets through the school (soooo convenient! ), purchase the next size up in uniform pieces, and swing through TJ Maxx to grab everyone new socks. My shopping is really limited to shoes and backpacks (if needed) and that's it! The new school year is typically when I make my "resolutions" and set my goals... for my classroom and my family. This year as a teacher I want to be more creative - get students up and out of their seats more and incorporate more problem solving. My big goal for my family life is really guarding my evening time. I'm not exactly sure what that's going to look like yet (leaving school work at school, turning off my phone from 5 pm - 8 pm, only blogging three days a week, etc.) but am working through those details. Is this a time of the year that you love or one that you dread? 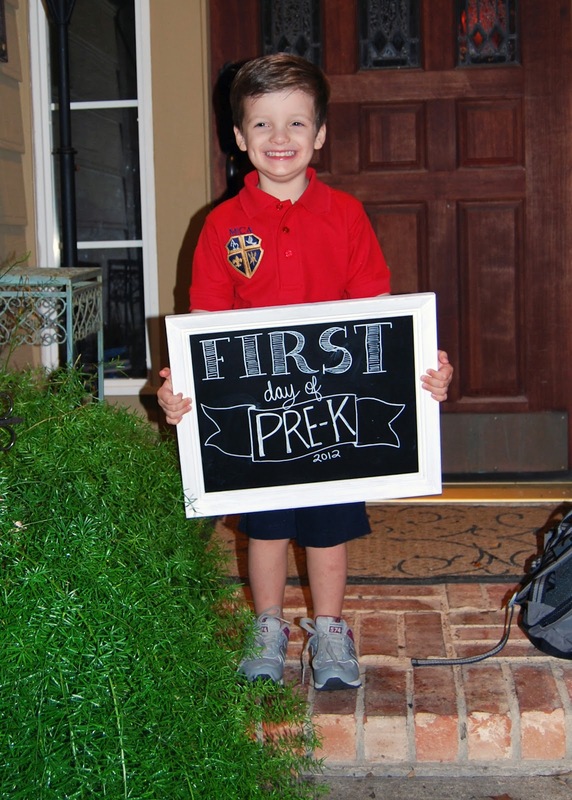 :) Do you have any fun first-day traditions/ideas? Let me know in the comments! I love that you do this! What great memories for your kids! Today is my first day back teaching after being home all summer with a new baby. I love reading your teaching posts, it makes me feel like I'm not the only one away from my sweet babies. Happy school year! Oh, girl! Prayers for you!!! I know how hard that can be - just think about how extra sweet the snuggles are going to be this evening! Love this so much! I have 3 girls and we do a spa night at home the night before school starts. I give them each pedis and manis and we make homemade facials. I also make cinnamon sugar roll ups and kiddie cocktails. We crank the music and have so much fun!! I love this idea!!! SO SWEET and special! And I love that it's a tradition that y'all can continue all the way through school - so fun! YAY!!! They're seriously awesome. We've had ours for a year and they look brand new - my kids LOOOOVE them! Back to school time feels like a clean slate. Bring in the freshly sharpened pencils! My kiddos started back last week and while going to bed in time is difficult we are already enjoying the return to routine. Glad to see I'm not the very first one back :) And YAY for routine! And there's something extra fun about being able to come home from school and swim after dinner! I'm definitely going to be scouring through the comments on this one! Elle starts Kindergarten in 13 days (we have a countdown on the wall), and I have all the feels. I want it to be so, so, so, sooooo special for her. But I also dont want to drive myself crazy trying to make it Pinterest perfect. We have her new Pottery Barn backpack, new shoes and our Yumboxes are arriving today. We still have to buy our supplies, and we'll be ready for Kindergarten! Physically, if not mentally. Don't stress, mama! It will be so special and memorable no matter what! Have y'all read "Mrs. Bindergarten Goes to Kindergarten"? We read that with the boys before they went to kinder and it was really sweet. Love your "back to school" decorations...where did you find the small globes?? I just love your back to school posts!! I was at Hobby Lobby last week and thought of you! I am going back to teaching middle school after being home with my kids for 3 years. I'll be teaching social studies! I'm nervous, but this post got me super excited for what's ahead!! You're going to be great! Middle school is the best! 2. I would be SO SAD if you only blogged 3 days a week. Luke should start pulling his weight and cook dinner a few nights a week so you can keep blogging. 1) Hahaha - there's ALWAYS room for a little more creativity! I love back to school time too! Nothing like an empty planner and a new pen to get you excited about the year ; ) Guarding that evening time is a great goal...we are working on that too and as much as we love your daily posts, we would totally understand xo. Thanks, Melissa! Still working through and thinking about things - we'll see how it goes! I love back to school time. I have been working hard in my classroom to get it ready so that when August comes I can enjoy the last few weeks of summer break with my family guilt-free. Also, those teacher nightmares are legit! This helps me keep them at bay. I love that you decorate for back to school time, my kids would love that. That's awesome!!! Work now, play later! That's a great perspective! Me too... she's pretty excited! Sure!!! I do have to submit plans electronically but they're not nearly as tedious as public school plans. I type out the goals that I'm covering, any activities I'm using and then homework/other assessments. In my planner I usually just write the topic for each class so I can glance down and get a reminder of what we're covering. Many of the teachers at my school use Planbook.com. It takes time to set it up initially but then it's a breeze! Back to school is a favorite time of year for me! I love school supplies! My youngest is starting kindergarten this year and we're very excited! Loved your post today! Enjoy your first day!! Happy ALMOST Kindergarten!!! So fun!! Oh my heavens!! I love all of this back to school goodness! I hope you have a great day, girl! Back to school is definitely my reset also. It is like a new year - and school year schedule like yours is very different. But I love it - life seems so much more manageable. And the love I have for school supplies runs deep - so I do get some new stuff for me too. 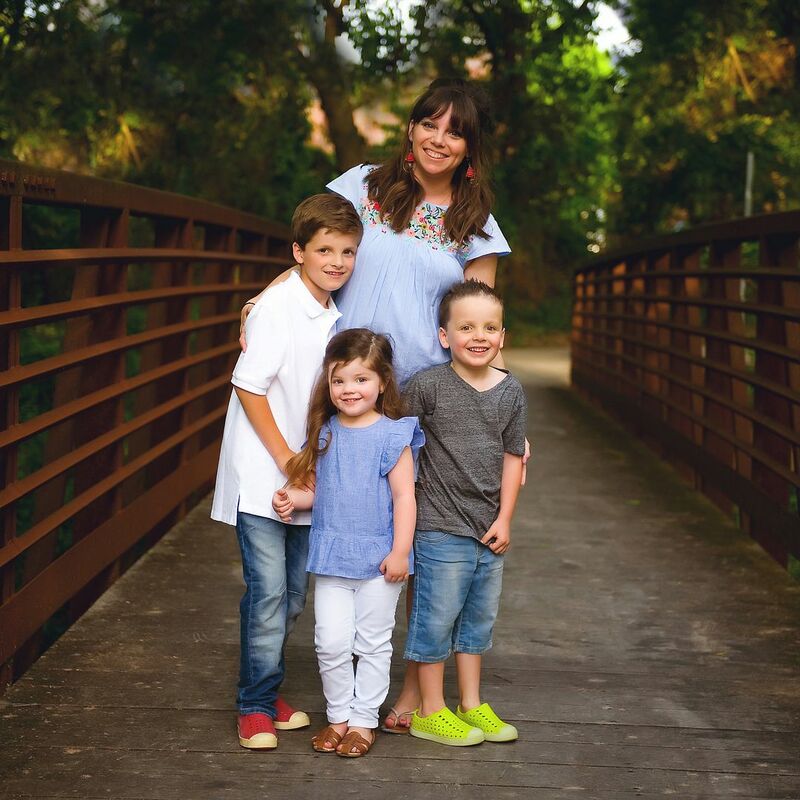 Love your blog and sweet family - god bless you and this school year. I love all these ideas! We have 4 kiddos so Back to School is always a big deal at our house too! Organizing time is the hardest task! Would you share your typical schedule with working and blogging and how you do try to balance? When do you usually write your blogs? Do you write blogs a few days ahead of time and schedule to post? I'm trying to blog more just for my family this Fall to keep up with our memories but I'm finding I will need to schedule a time for it or it won't get done! Have a blessed day! Love reading your blog!! 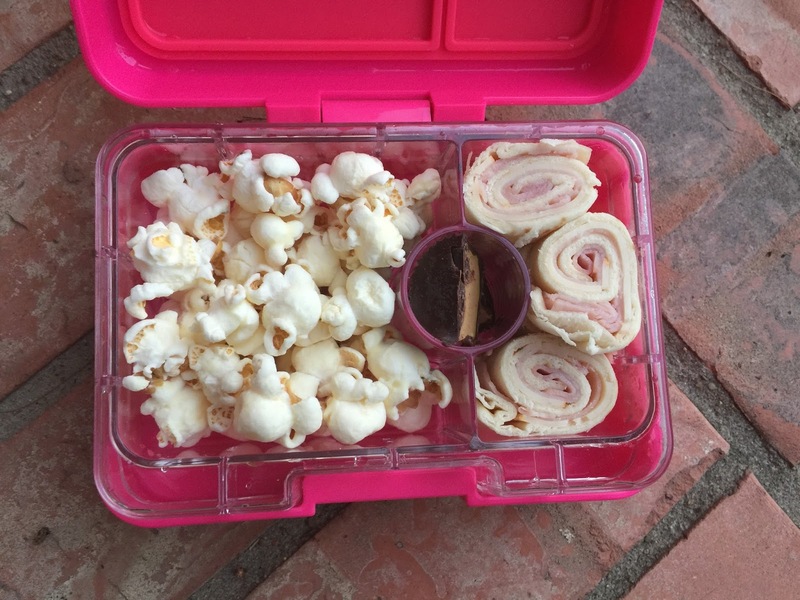 Both of my kids have Yumboxes and we love them! Best lunch system ever! My son is 8 and doesn't get too excited for school starting but maybe I should try a "Back to School Brinner" this year! All my babies are grown and college graduates but my youngest is heading BACK to college to start working towards her PCA license. (Pest Control Advisor) so she will be working full time in the family business and taking 3 classes! So I am excited for her! You can never have TOO much education! Love your back to school decor. Now I'm inspired to go pull together some new things for this year. My kids start back in two weeks. Have a terrific Tuesday! I really think summer gets shorter and shorter. I'm a teacher as well and to be honest august just stresses me out. I'm never ready to go back. I love hanging out with me kids and cooking and sleeping in waaaay to late. Just the thought of making lunches sends me into a tizzy. I love seeing your home decorated, you are so creative!! We go back to school next Tuesday so this post came at the perfect time :) Hope you have a great school year and thanks for sharing your ideas with us. My target had the bento boxes for $10!! We are right there with you... Jacob's first day back is 8/7 so we are in full-fledged back to school mode over here, too! I love your decorations! I love back to school season (not the actual homework, sports, craziness though). 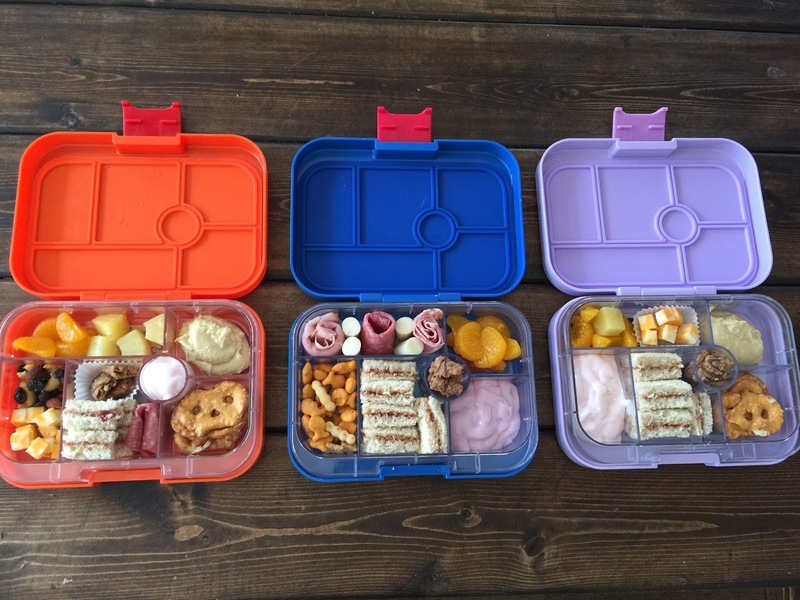 Just ordered the Yumboxes for our youngest, she's a huge fan of small portions and variety, so hopefully these will make lunch at school fun for her! I love this post! Your decor is adorable and I love the globes. I love your resolution of guarding your evenings. I feel like even as a stay at home mom I need to turn my phone off for a few hours every evening. Although, it sure is hard sometimes. Good luck with back to school! Will you be making a new Brinner sign? I loved last years! We copied you as it was our first ever back to school!! I'm a K teacher. I'm always sad to see the lazy days of summer go, but ready to get back in a routine and meet my new crop of kinders! My kids are all in HS as of this year 😢and my oldest is a senior so I'm taking in every ounce of him this year and going try to let school stay at school. 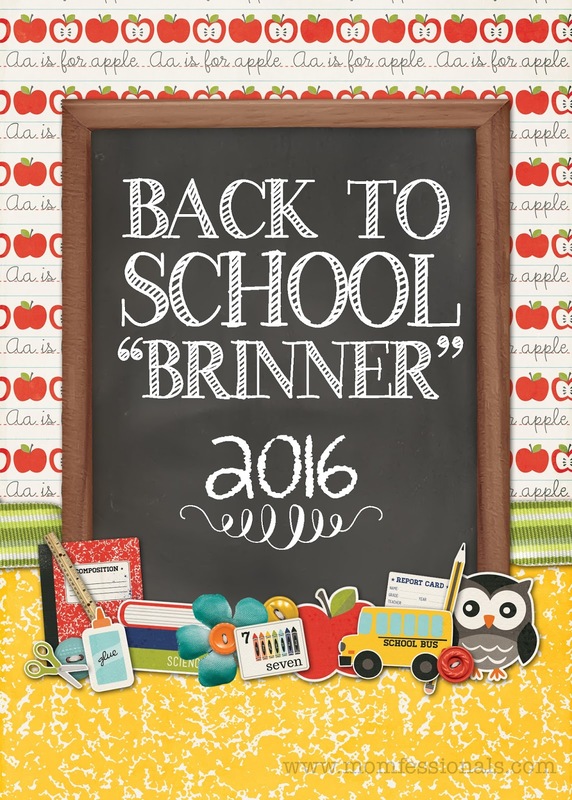 Love the teacher planner--I've not seen that one, and a good price point. Love your blog and your family is precious.